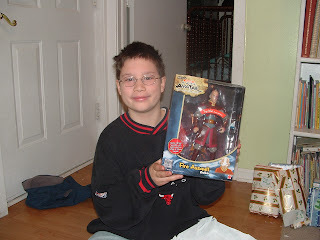 Here's Jacob on Christmas Morning. 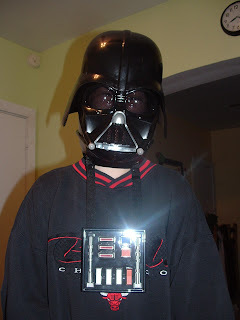 He received a Prince Zuku (Avatar), a Darth Vadar voice changer (50 bucks last season, but only 10 this!!! 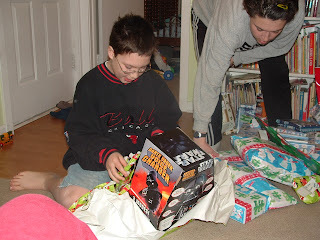 ), and a Spiderman puzzle. He was pretty excited.